A announcement from iChart about excluding a chart made netizens happy and worried at the same time. iChart – an intergrated chart which calculate the result of 6 music charts – recently put up an announcment about its mechanism. 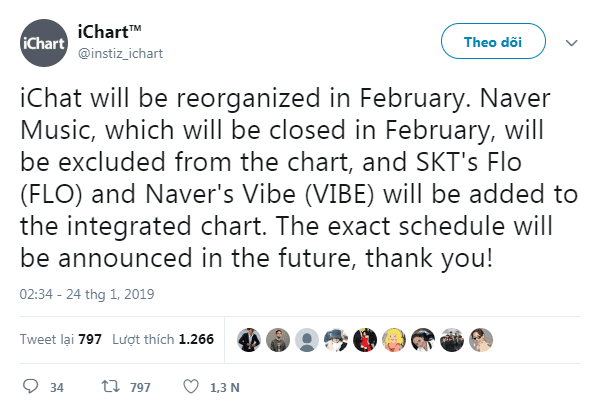 According to the post, iChart will officially exclude the Naver Music chart from Feb 2019 while adding 2 new charts which are FLO of SKT and VIBE of Naver. This announcement means that the 6 charts which are being counted for iChart including MelOn, Genie, Bugs, Mnet, Naver and Soribada will be re-arrranged. The new iChart will include 7 charts which are MelOn, Genie, Bugs, Mnet, Soribada, FLO and VIBE. Reacting to this change, Korean netizens are with mixed feelings. 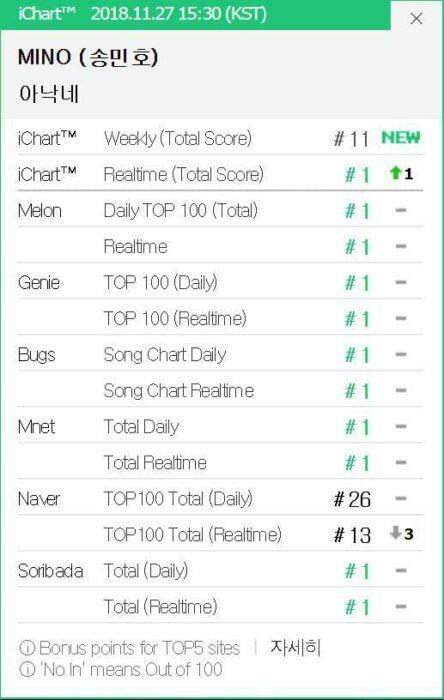 Some fans are happy at the excluding of Naver Music because this chart was continuously faulty and more important is that it gets in the way of many idols trying to achieve an all-kill or a Perfect All-kill! 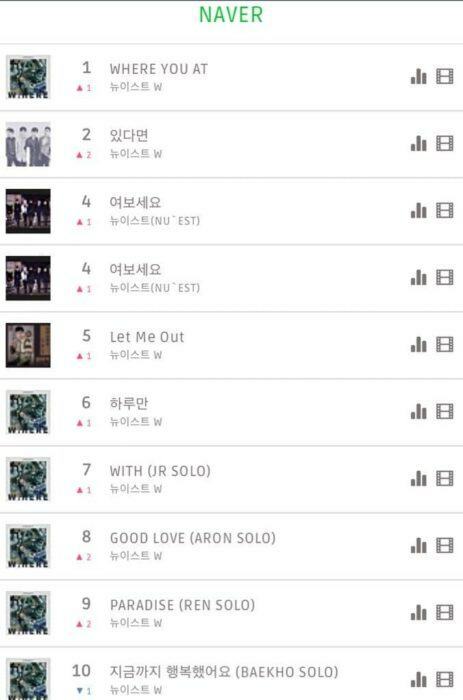 Naver Music charts usually encouters many errors in its rank update system. “SOLO” of Jennie lost its Perfect All-kill due to Naver Music’s real-time chart. MINO’s “Fiance” (WINNER) has a similar situation when it reaches # 1 in a series of charts but is surprisingly low at Naver. Meanwhile, others expressed concern with 2 Charts that will be merged into the upcoming iChart, FLO and VIBE on the grounds that these two charts are “acquaintances” of leading entertainment companies such as SM, Big Hit, YG or JYP. An article once reported that YG cooperated with Naver for a new music application. Although there was a change in the charts structure, there is a fact that fans still have to stream music every day so their idols have a chance to get an All-kill or Perfect All-kill. The important thing still comes from the transparency of these individual charts. Therefore, fans hope that the charts listed in iChart’s scoring list will still maintain their fairness and publicity so that the quality songs and products which win the public’s heart will gain their worthy places. Not just ITZY, JYP is going to debut 3 more groups in 2019?